Osteoarthritis is the most common form of arthritis, and one of the leading causes of pain and disability worldwide. 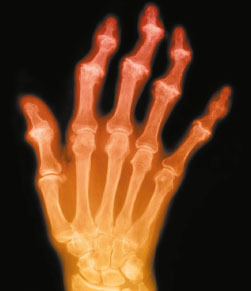 Osteoarthritis is the most common form of arthritis, and one of the leading causes of pain and disability worldwide. About 7.3 million people in England have osteoarthritis, and this number is predicted to rise as the population ages. Care can often be variable because osteoarthritis is not managed in the same way as other long-term conditions, with regular reviews. Instead, the National Institute for Health and Care Excellence (NICE) says patients present to their GP when they feel it is necessary. Those affected often have poor symptom control. Anyone newly diagnosed with osteoarthritis should have their pain, the impact of the condition on their daily life and their quality of life assessed, according to NICE’s new quality standard on improving the assessment and management of osteoarthritis. Adults should be encouraged to undertake an exercise and strengthening programme, lose weight if necessary, and help to develop a self-management plan. They should have regular reviews with their healthcare team. A decision on whether to refer for joint surgery should be made by the health professional and the patient, rather than based on a scoring tool. The main symptoms are pain, stiffness, swelling and a grinding sensation in the affected joint. Symptoms can flare up. The pain can prevent sleeping and daily activities. The joints most commonly affected are knees, hips, neck, back, big toe and hands. NICE says complex genetic, environmental and lifestyle factors cause osteoarthritis. Arthritis Research UK says risk factors include age (late forties onwards), obesity, joint injury, joint abnormalities and other joint conditions, such as rheumatoid arthritis. NICE recommends weight loss as a core approach to improve joint pain and function for patients with osteoarthritis. Adults who are overweight should be offered support to help them lose weight, which may include weight loss programmes, and this support and encouragement should be reinforced by nurses at every opportunity. Exercise is also a core treatment to improve joint pain and function. Arthritis Research UK has called for co-ordinated care planning for all patients with a musculoskeletal condition. ‘Nurses in every setting will care for patients with this common chronic disease. Osteoarthritis can have a devastating effect on quality of life. ‘It leads to pain and reduced function, which affects daily activities. While osteoarthritis cannot be cured, it can be managed well by following the quality standard, so that patients can maintain or regain a good quality of life.